Relax, recharge your batteries and enjoy the tranquillity! Be yourself! Listen to your inner voice! Shut out everyday stress and tap into new energy! Our quiet zones are excellent for romantic moments on holidays for couples in Salzburg. Rest after a trip to the sauna in our comfortable lounge chairs or let your spa treatment soak in as you rest on one of our water beds. 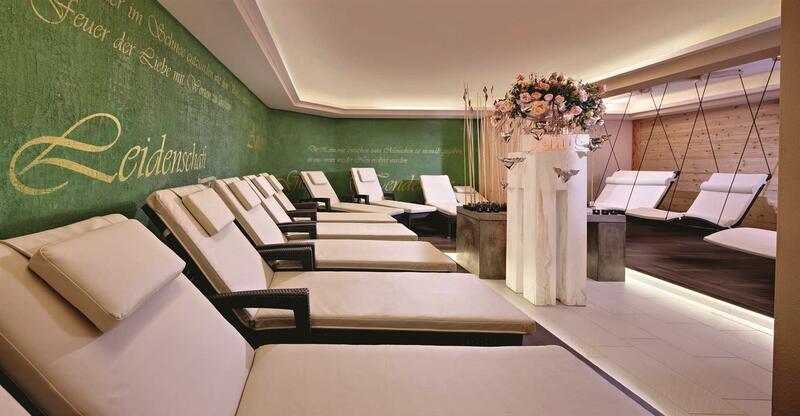 With its beautiful details, our relaxation room is the perfect place to unwind and refresh. Treat yourself and your partner to pure relaxation on your romantic holiday in Austria. Rekindle your love with a soothing partner massage or a romantic bath for two! Afterwards, wrap up in a warm, fluffy bathrobe and enjoy the comfort of our waterbeds or lounge chairs while you slowly doze off. Are you already dreaming of a romantic spa holiday in Austria? Send us a non-binding enquiry for a holiday at the 4* Romantikhotel Zell am See today.